Filmed on location in beautiful Bowling Green, Kentucky, Travis Newton's Woodshed will be making its Seattle premiere at the Seattle Shorts Film Festival from Nov. 11-13, 2016 as part of the festival's Stars in Shorts block of films. 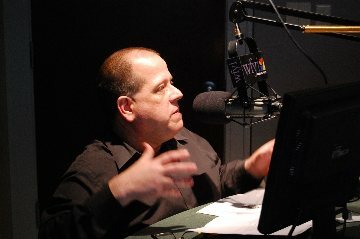 The film stars Derek Wilson, most recently seen in the role of Donnie Schenck in the television series Preacher, as Jacob, the kind of bad influence uncle that every niece or nephew absolutely loves. In this case, Jacob bonds with his nephew, Zachary (Cooper Guy), an outcast kid with a brand new shiner, when he needs the kid to drive him to the store for smokes. Have I mentioned that Zachary is 13? Set in Bowling Green, Wilson's hometown, Woodshed is a 12-minute slice-of-life film with solid performances all around and a nice, easygoing chemistry between Wilson and Guy that makes their offbeat situation more believable even when Zachary's dad (Matt Long), a local police officer, shows up nixes the prolonged bonding session. 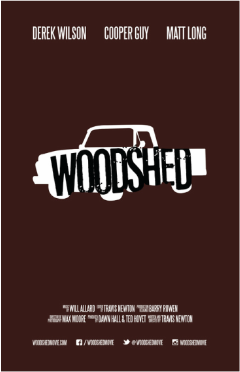 Woodshed is beautifully photographed by Max Moore with a nice weaving together of light drama and humor that moves the film along at a nice clip. Guy brings to mind an underrated teen gem, Angus, and wins the audience over quickly and makes you root for him all along. This is a simple, straightforward yet effectively done film and the kind of little gem that should easily keep finding a place on the film festival circuit.